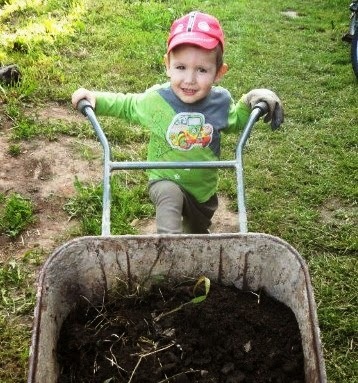 Families for Orphans: Who will give little Sergey "FIVE"...JUST $5 to help install toilet and a shower at orphan camp? Give now and your donation is matched! Who will give little Sergey "FIVE"...JUST $5 to help install toilet and a shower at orphan camp? Give now and your donation is matched! Little Sergey really works hard at the summer Grace Center camp and needs a shower. Can you help? Every year, the moms and children at Grace Center have the rare opportunity to go to a rustic summer camp at Bolshevo. There, they learn basic housekeeping skills and learn more about their Lord and Savior. Natasha Kirillova, head of the Help for Children Charity, has let us know of the need for a toilet and a shower at the camp. Currently, there is no toilet and no shower. A family in New Mexico (who recently visited the Grace Center) has volunteered to pay up to half the cost of the toilet and shower. If we can raise $1750 for the toilet and shower, this family will donate $1750. This matching opportunity will be available for one more week. If you can help with a donation of any size, it will be matched dollar per dollar! A group of volunteers from the Ukraine has volunteered to help build the toilet and shower! You can make a donation of any size online on our donation page here: BIG FAMILY MISSION DONATION PAGE. Or, you can mail checks to Big Family Mission at the address listed below. Thank you for considering this opportunity to bless the families at Grace Center in St. Petersburg, Russia! Have you liked us on Facebook? You'll find us here: Big Family on Facebook.